This is the ideal hangout if you have a house full of teenagers. What a perfect spot for your summer read. I wouldn't mind rocking for a while on this porch. Neutral and simple, pretty and peaceful. 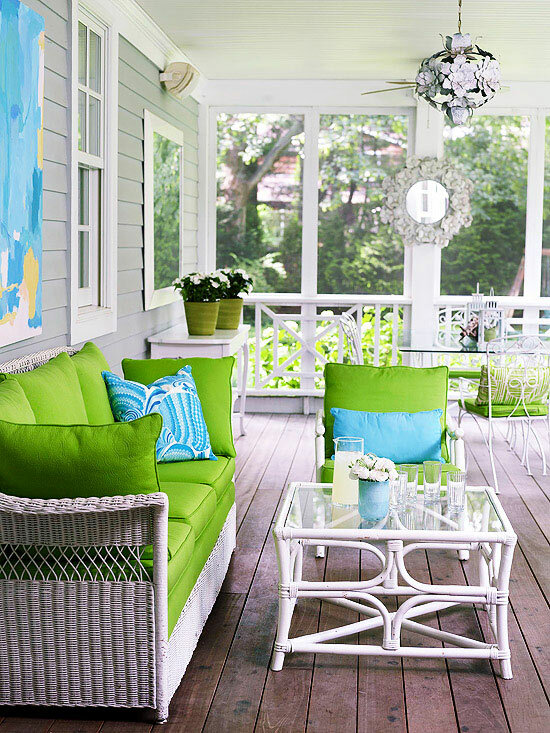 Which porch would you like to plop down in with a tall glass of sweet tea and a good book? I wouldn't mind plopping down in every one of them. They all look inviting. I know it. Wish I had a covered space. Southern Living or Ballard Designs! I'm so glad you shared this! 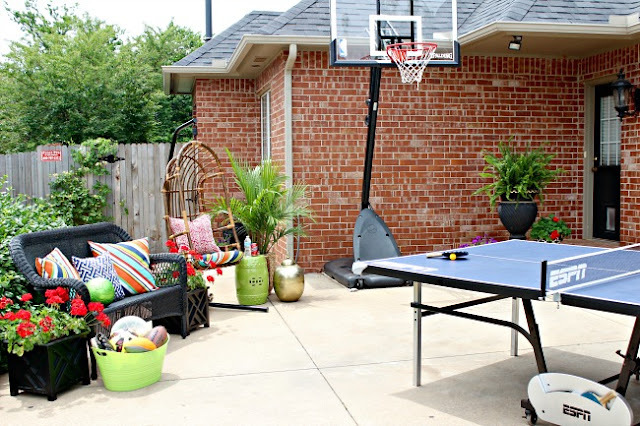 I've been looking for patio inspiration for our new house! :) Thank you! I love your better homes and gardens idea. I would like to spend my summer holiday in these porches.